Posted by Iris Yan on 11/26/2018 3:15:38 PM. VitalSource Bookshelf is very popular among students, especially college students. Many colleges and universities are associated with their eTextbooks to VitalSource Bookshelf. Students have to use the VitalSource Bookshelf program to access their eBooks for their courses. 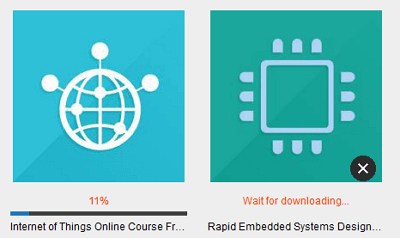 Although students can read their course materials via VitalSource Bookshelf, most of them still want to print the VitalSource eBooks for a better reading experience. Today, I will show you how to print the VitalSource eBooks. One is printing the VitalSource eBooks with the default method, and the other one is downloading the VitalSource Bookshelf to PDF for printing. VitalSource Bookshelf allows users to print the eBooks but it has print page limitations so you can only print a few pages one time. Let's see how we can print a VitalSource eBooks with the page limitations. Step 1: Download VitalSource Bookshelf desktop application and install it on your computer. 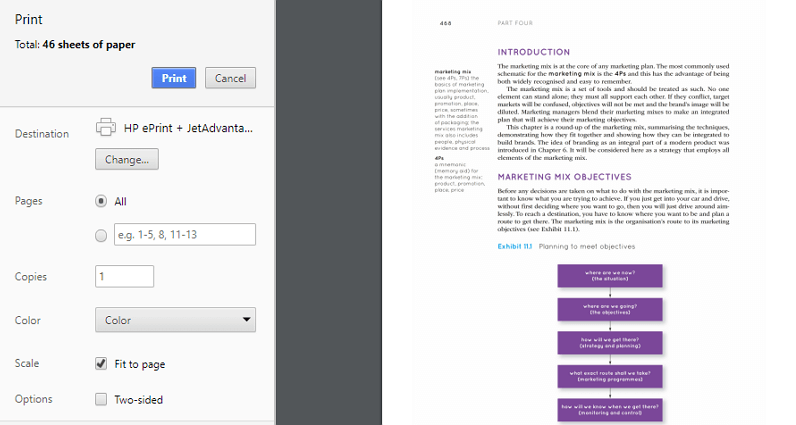 Step 2: Click the Book cover and navigate to the first page of the book which you want to print. 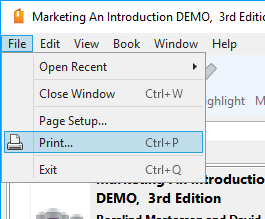 Step 3: Click on File at the menu and select Print from the drop-down list. Step 4: The print preview page will pop up. In this page, you can see that the printing for this title is restricted to 30 pages at a time. This is much more than my expectation. I even see that there is one page at a time. Choose the range for your print and click on Continue button to print this book. 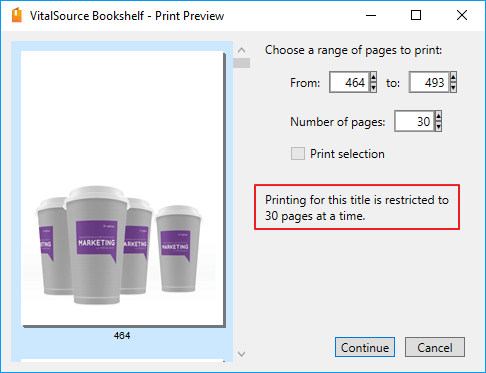 Now you can print 30 pages at a time, but if you want to print this whole book, you need to repeat this whole process which is really annoying and time-consuming if your book contains thousands of pages. That's why I strongly recommend you use the following method to print VitalSource eBooks. Nowadays, time is gold and many people even value time more than money. Thus, the following method I share with you guys can greatly save your time. In this part, I will share the easiest way to print the entire VitalSource eBooks with Epubor VitalSource Downloader which is a smart tool that can download your VitalSouce vbk files to pdf or epub with only 1 click. With Epubor VitalSource Downloader, printing VitalSource eBooks is just a peice of cake. Step 1: Download and install Epubor VitalSource Downloader. It is available for both Windows and MAC system. Step 2: Run Epubor VitalSource Downloader. 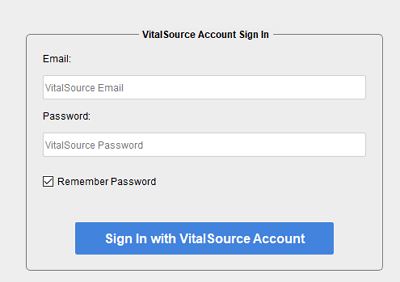 Fill in your VitalSource login information, you will go to VitalSource Bookshelf and see all your purchased books. Step3: Download VitalSource eBooks to PDF/EPUB. 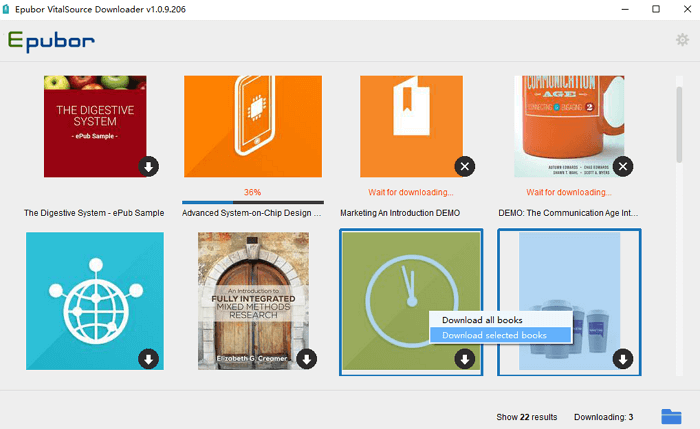 Click the book you want to print, and the book will be downloaded automatically. When the downloading is finished, it will pop up a new message "Download file succeeded!". Click on "OK" button, it will pop up the folder which stored the downloaded file. Step 4: Print VitalSource eBooks. Since there are two forms (epub/pdf) etextbooks sold in VitalSource, the books you downloaded via Epubor VitalSource Downloader may be in epub or PDF format according to its original formats. If the downloaded book is in PDF format, you can just print it directly. If the book you downloaded is in EPUB format, you need to convert epub to pdf with Epubor eBook Converter at first and then print it as following instructions. Open the PDF file with GoogleChrome(or other PDF supported reader app) and click on the printer icon at the top right corner. The print settings page will pop up and you can choose the printer, the pages you want to print, copies and so on. As you have downloaded VitalSource eBooks to PDF, there is no print limitation. You can print the whole book with only one click. It is greatly save your time. After the comparison of these two methods, I highly recommend our readers to use the second method. It is easy and time-saving. What's more, it even can download your VitalSource VBK ebooks to PDF/EPUB so that you can read them any PDF or epub supported device.